There’s a solution to your tossing and turning. Let’s see, you’ve noticed that you have not been sleeping well. You wake up with aches, pains, numbness and a general feeling of “what a bad night”. You have a niggling feeling that this has to do with that piece of furniture that you will spend a third of your life on. Your bed! You now want to buy the best rated mattress that will suit your needs at the best price. Perhaps you are trying to balance between buying a cheap mattress against the value of a good quality one. You do not want to buy the first one you see at the nearest shop but you have no idea what to look for. We take away the frustration. You are perhaps overwhelmed by the different mattress brands out there. There are more than 18 top brands of mattresses! Do you go for Helix, Zotto, Simmons, Tempurpedic, Sleepeezee, Tango, Layla, or Jasmine? Confused with what memory foam mattresses and latex mattresses are? Well, the choice seems endless but our memory foam and latex mattress reviews will be most useful. 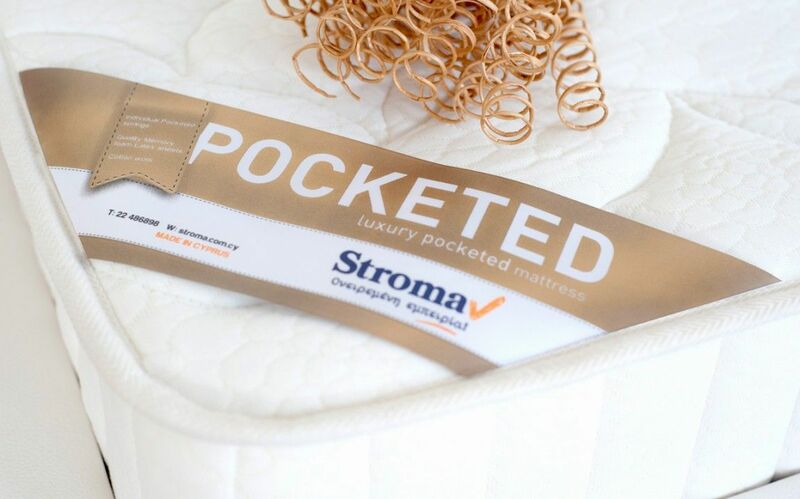 Each mattress brand has its own different lines such as Simmons, which has the following different lines: Beauty Rest World Class, Premium Beauty Rest, Ultra Premium Beautyrest and Super Premium Beautyrest Class Cresendo. Here again, we help you choose the best mattress model that suits you. With the different mattress types do you go for continuous coil mattresses, open coil mattresses, pocket sprung mattresses, memory foam mattress, pure foam mattress or latex mattress? There’s further the complexity of mattress companies giving different names to the same mattress when sold in different shops or different locations. Knowledge is power. We focus on your needs. You will first have to decide what your needs are. What mattress size or dimensions are you looking for? Do you share a bed with someone or not? Or are you looking for a crib mattress? How much are you looking to spend on your new mattress? Is it safe to invest in a cheap mattress? Do you prefer buying online to take advantage of the lower costs offered by online merchants such as Amazon and Ebay? Or would you prefer to see, feel, and try the mattress from your local dealer? We explore the advantages and disadvantages of either methods of purchase. What About Keeping Creepy Crawlies from your best Mattress? We have gone a step further by informing you how to keep bed bugs out of your mattress using the best mattress covers for bed bugs. Whatever action you take, we will give you expert information that will help you get that much coveted best rated mattress for your sound sleep and optimal comfort.My goal is to supply consumers with an index of the best information available on the internet about mattresses. This page is designed to aide consumers in educating themselves before making a purchasing decision concerning mattresses. I welcome all email on how to make this site more user friendly. Start by evaluating the importance of a mattress in your life. The average person spends approximately one third of their life in bed. This is a time of rest and revitalization. The mattress you sleep on plays a vital role in your health and well-being and its purchase should be thought of as an investment. The points covered in this web presentation will cover what you need to know to make an educated decision when you purchase your new set. If you wake up stiff, sore or restless, then its probably time for a new mattress. But you have to consider that not all mattresses are made the same. A firm mattress may not be the best choice for you. You have to determine how you sleep in order to identify the type of mattress you need. If you sleep on your side and stomach, then you need a mattress that’s softer. Back sleepers don’t need much give. Be considerate of women’s hips, as they need to sink deeper than men’s. Helping you find the best rated mattress that meets your needs is what we are about. We know that a good choice will make it possible for you to sleep soundly, wake up feeling refreshed and ready to tackle the day. If you are particular about the furniture that makes this possible- your mattress and bed, you have come to the right place. Here you will find mattress reviews and ratings of such brands as Sealy, Serta, Simmons, Sleepeezee and many more. You will learn more about the different mattress features and how they affect your sleep. We also cover different types of mattresses such memory foam mattress, innerspring mattresses, and latex mattresses. We have done all the research that you will ever need to make the choice of the best mattress for you. Before going out and shopping for your new set, let’s first identify the durability of the mattress that you are looking for. There are many qualities of mattresses out there, and it will be very confusing if you don’t identify the real need for this set. Durability is the main factor in buying a mattress. Durability has to do with how well a mattress holds up over time. The quality of the materials, the construction of the mattress and the care you give it will determine this. Different manufacturers have different levels in their product lines that rate how durable the mattress is, and how long it should last you. If I tried to break down all of the different levels, from every different factory, and every different manufacturer, this wouldn’t be the 30 minute education that I was aiming for. Therefore I am going to make it very easy on everybody. You are either looking for a promotional or a premium quality set. A promotional quality set would be used for a guest room or other short-term use. A premium quality set would be used for a master bedroom, any other room that is slept in every night, or for any other situation in which a higher quality of comfort is going to be needed. 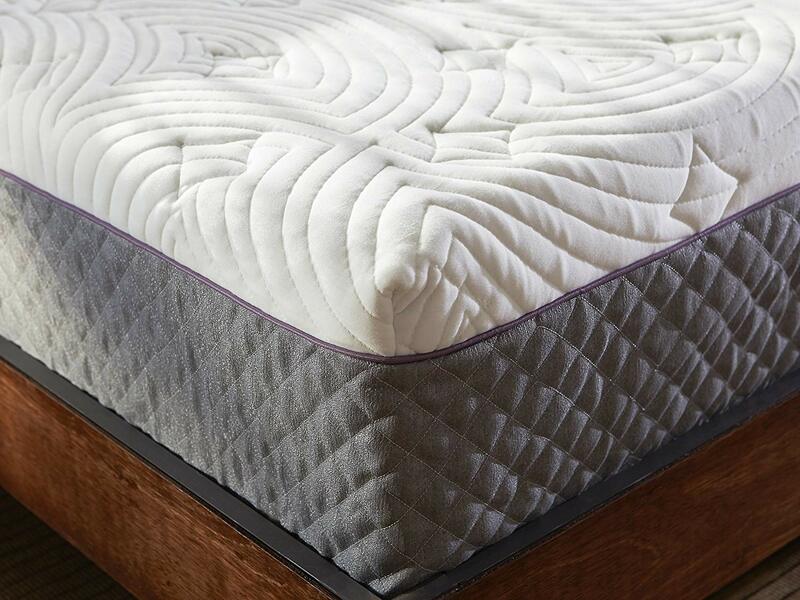 If your highest concern when buying a mattress is its durability, you won't get any better than the Sleep Innovations Shiloh; a 12-inch memory foam mattress that comes with a 20-year warranty. The mattress is available in Twin, Full, Queen, King, and California King sizes. While it isn’t that cheap when compared with other mattress of it’s caliber, we believe that the years of service guaranteed on this mattress makes the cost obsolete. It’s a mattress well-worth the investment. And it’s made to accommodate average to heavy body types. So, regardless of how heavy you weigh, you’re guaranteed many years of comfortable use on this mattress without worrying that it will start sagging. The label is basically the only part of the mattress, other than the cover, that the consumer can plainly see. If you know what to look for on the label, you can guide yourself into the right quality for your needs. And whether it is a premium or promotional set. Let’s assume that all major manufacturers make good quality beds. This means that the manufacturer is important but not that important. Let’s not forget that they change the name of the mattress depending on where you are shopping, so that makes the name not so important. That leaves us at whether it is a promotional or a premium set. This is important. If you went over the section on whether you need a promotional or premium sleep product then you already have in mind what you are looking for. If it is a promotional mattress then price matters and you shouldn’t pay attention to brand recognition. At this level of the line they are all going to be the same construction. If you are looking for a premium quality set then you should be looking for the manufacturer’s premium name on the label. Each different manufacturer has their own different name for their premium line. Sealy has their Posturepedic, Serta has their Perfect Sleeper, Simmons has their Beautyrest and Spring Air has their Back Supporter. If you are looking at any other manufacturer just ask your sales representative about their premium line bedding. If you don’t see their premium name on the label, chances are that you are looking at a promotional quality set. Don’t be fooled if it says “by the makers of” and then the name of the premium line. This would still be a promotional set. There are many different support systems out there and it’s up to the consumer to see which is the best for them. There are innerspring, foam, flotation and air systems. The decision between the systems is based on personal preference for durability and comfort. Most conventional sleep systems purchased today are designed with an innerspring unit as the core of support. The innerspring unit response depends, to a great extent, on its coil construction. Check into the innerspring’s coil count (coil count is always given in the full size no matter which size that you are looking for) and gauge of steel. If it is a promotional quality mattress that you are looking for then the more coils the better. When looking at premium-level sets the consumer can only compare coil counts within the same manufacturer’s product line. 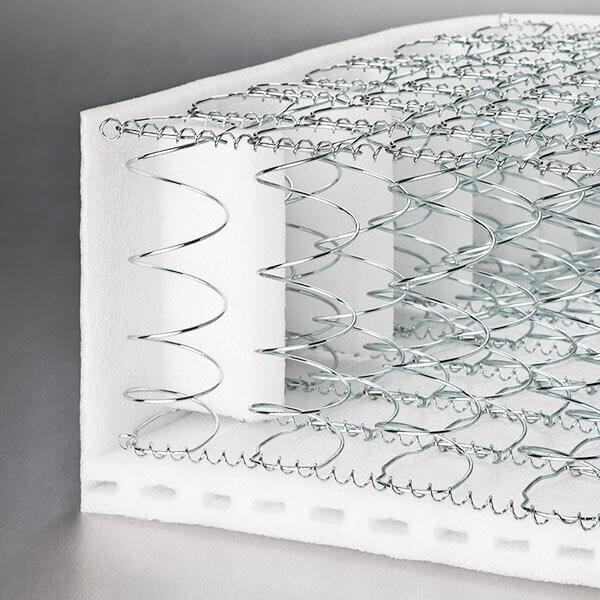 If you try to compare a Serta Perfect Sleeper 600 coil count with a Simmon’s Beautyrest 600 coil count, you are going to be lost. The differences would go into the actual design of the support system rather than the number of coils. If you are looking at a 1000 coil count Serta Perfect Sleeper and a 300 coil count Serta Perfect Sleeper, then you can accurately state that it is a superior product. Gauge of steel is judged the same way, keeping in mind that when comparing different gauges of steel the number gets smaller as the steel gets thicker. If you are looking within the same line you can correctly state that it is a better product. Most people make the mistake of not paying too close attention to the box spring when purchasing their new set. In most premium quality sets, the box spring does 40 percent of the work for the mattress. This increases the “comfort life” of the set. The comfort life of a mattress is the amount of time that the mattress remains comfortable. Always purchase the box spring that is designed to go with the mattress. Sometimes you can get a better deal for buying a mismatched set. As long as you are getting the same construction, this is still a good way to save money. Every different manufacturer has their own different constructions for their premium models, so it’s up to you to pick which construction is best for your purpose. Promotional mattress sets usually come with foundations. A foundation is basically a wood box with a cover on it. This does wear out the mattress little quicker, but it is better to support the mattress fully rather that putting a cheap coil box spring underneath it. Coil box springs should never have less that 81 coils in them (once again based on the full size). If you are getting a 72 or 63 coil box spring, it is best to go towards a foundation. After you have decided which core support system is best for you, it is now time to decide on the surface feel that is best for your needs. If the person sleeps on their side and back then they should go with a plush top. In the industry you will see plush, pillowsoft or pillow-top. If the person sleeps only on their back then they can sleep on a firm, plush pillow soft or pillow-top. Most people that sleep on their stomachs require an extra firm sleep surface. These recommendations are the most popular but are not always true. You should always try the sets out yourself, and always buy the one that is the most comfortable to you. Ticking is the material used on the outside cover of the mattress. There are basically four types of ticks. Knit, Chintz, Damask and Belgian Damask. Knit is the least expensive. Made of polyester, and it is used on most promotional quality mattresses. This cover has been known to reflect body heat and makes for a warmer night’s sleep. Chintz is a cotton blend. It is durable, soft to the touch, and is used in both promotional and premium sets. Because of the cotton content it is also a cooler sleep surface. Damask, a rayon and cotton blend, is very durable and is used in both premium and promotional sets. Belgian Damask, imported from Belgium, is used in only the premium-level beds usually the top-of- the line models. It has a higher thread count and is even more durable and soft to the touch. Upholstery refers to the various layers of material between you and the core support system. Various materials may be used, such as cotton, soft foam, hard foam, convoluted foam, anatomic foam, wool, silk, dacron, cashmere, and fiber pads, depending on the desired feel. The feel of a new mattress set can be prolonged by quality upholstery materials. Quality materials are very expensive and add significantly to the cost of a mattress set. Any of the materials mentioned above are a plus and will greatly increase the comfort life of your new mattress set. When asking about different materials keep in mind how that material feels when a piece of clothing is made out of the same material. Cotton and silk would be cool whereas wool would be warm. It is always better to get natural fibers in your mattress set. Size is important, but is often given little thought. A twin or a full-size bed is adequate for one person. For two adults, a queen or a king size bed is recommended. Remember the length is just as important as the width. There are extra-long twin and full models available if you have a tall person sleeping alone. If you are trying to put a king size mattress in a waterbed frame make sure that you purchase a California king-size mattress. Innersprings mattresses have long been the standard and for that reason many people are inclined to shop accordingly. Recently though, that trend has been changing as more and more people are realizing the benefits of getting-edge sleep systems. Latex and memory foam mattresses are superior to innersprings in comfort, support, and cheaper. It is easy to be swept up in advertising and form opinions about products without ever having tried them or done any further research. This is one of the biggest mistakes to be made when shopping for a mattress. Being dead set on having a memory foam mattress can blind you to the possibility that latex, with its antimicrobial properties and breathability may be a better mattress for you. You may find that memory foam is what you needed, but it is important to keep your mind open. Though it may seem like fun to change the firmness of your bed every night through products like air beds, it is not worth losing the support your body needs. Find a mattress that is customizable but continues to offer support. For example, it is easy to customize latex mattresses to any firmness level without losing support, even for couples. It is a common misconception that firmer is better. This theory has been debunked. As it turns out the human body does in fact have curves. The best mattress for you will relieve pressure points while supporting your body. Many mattress sellers will try and sell you a whole new mattress set even if you already have a perfectly good box spring. If your box spring isn’t broken don’t replace it. In the case of a platform bed, which provides more under bed storage, a box spring is unnecessary. Being stuck on an uncomfortable mattress that cost you a fortune is a miserable experience. Many retailers have exchange policies extending up to a month to ensure that you know the mattress you buy is the mattress you want. Know what the store’s policy is before thinking about buying. A lot of people undervalue the time they spend in bed. A cheap innerspring mattress will not relieve pressure points near as well as memory foam or latex mattress, which means more tossing and turning, and less deep restful sleep. Mattress lifespan is important to consider because it affects the cost of the mattress relative to time. A good latex mattress will remain a premium sleeping surface for twice as long as any innerspring mattress. Be sure to ask about warranties on any mattress you are considering. Knowing the features and benefits is the only way to decide which mattress is going to work best for you. To the uninformed eye a cover is a cover. To someone in the know, a cover is an amazing feature. Some mattresses are antimicrobial to reduce the number of allergens in the sleeping area. Some breathe better than others allowing excess moisture to be rapidly dissipated. Still others stretch to form to your body. Remember that there are important considerations when choosing a mattress cover. With these tips in hand, it’s easier to focus on the ultimate goal of achieving a comfortable, restful sleep. Inquire into new technologies and investigate as many different options as possible using the internet before you walk into a store. Use these points to form your own list of preferences and questions and take your business to someone who listens to your questions and answers them honestly. The most powerful ally for any consumer, after all, is preparation!